My fall accessories wishlist has no rhyme or reason. If I'm speaking truthfully, I really don't need anything - but that's no fun! 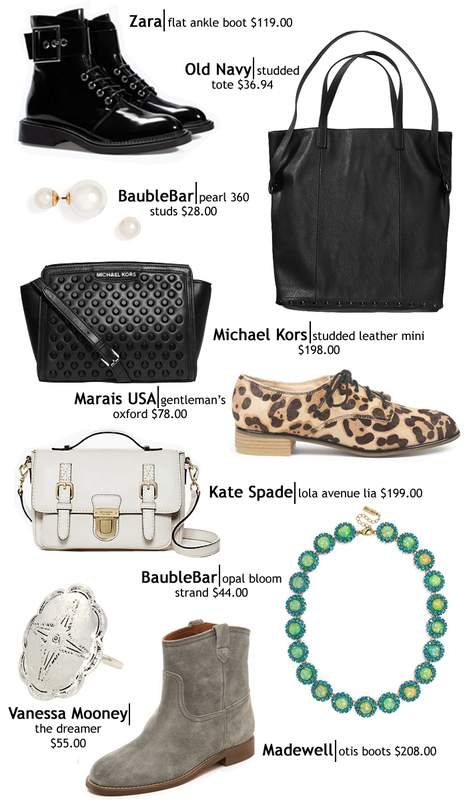 This season I'm particularly drawn to studs (big shocker there) and fun animal prints. I've also come to the executive decision that if I buy a bag it's going to be an investment piece - no more faux leather for this girl! My mom recently purchased the Kate Spade Lola bag in hunter green and I fell in love with it's shape and large buckle. I realized I have no white handbags, so I purchased the Lola in the horchata color. I happened to get the bag on a flash sale for $199.00, plus an extra 15% off - it was quite a steal. I only wear flats - I have never found a pair of heels to be comfortable. 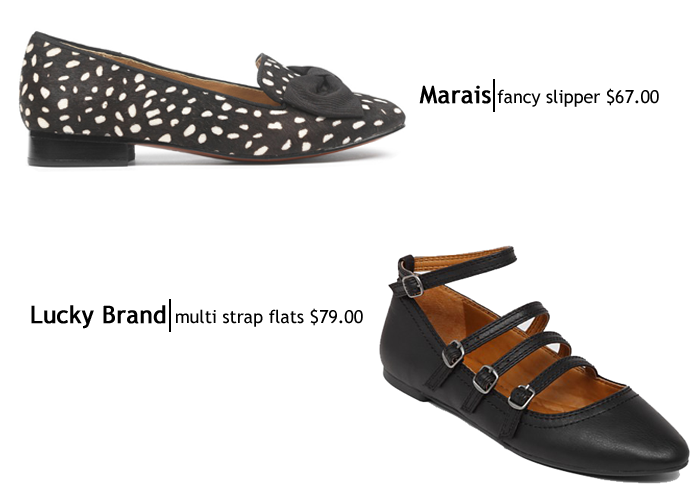 For fall I'm leaning towards unique flats with fun characteristics - multiple straps and big bows to name a few. I am always on the hunt for great sneakers. Vans is one of my favorite sneaker brands, and to no surprise, they have some awesome options for fall. I find that a good pair of sneakers goes a long way in NYC, as I do a ton of walking. Lastly, I'm looking to purchase whimsical and western-inspired jewelry. Ever since my trip to Santa Fe I cannot stop lusting after western jewels. One of my favorite jewelry designers, Vanessa Mooney, has a great selection of unique pieces. I'm particularly drawn to her dreamer necklace that is reminiscent of the Native American squash blossom necklace. 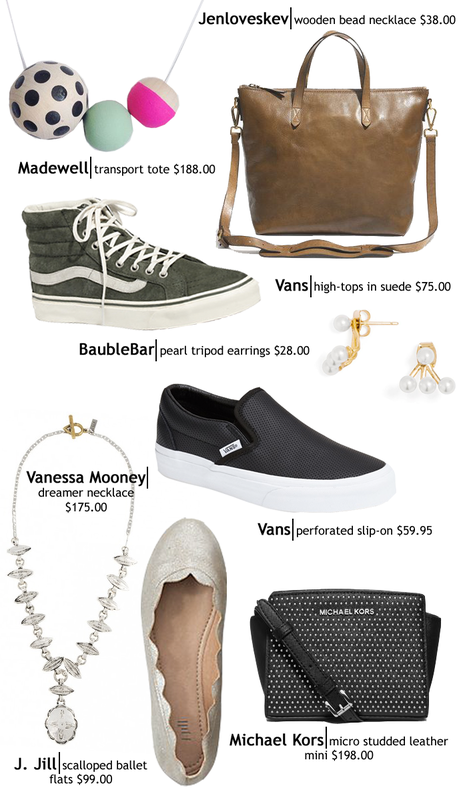 I have already stocked up on a few of my favorite accessories from the list above. You should expect to see me wearing some on the blog in the near future! *Collages created by Gabriela Monsanto.